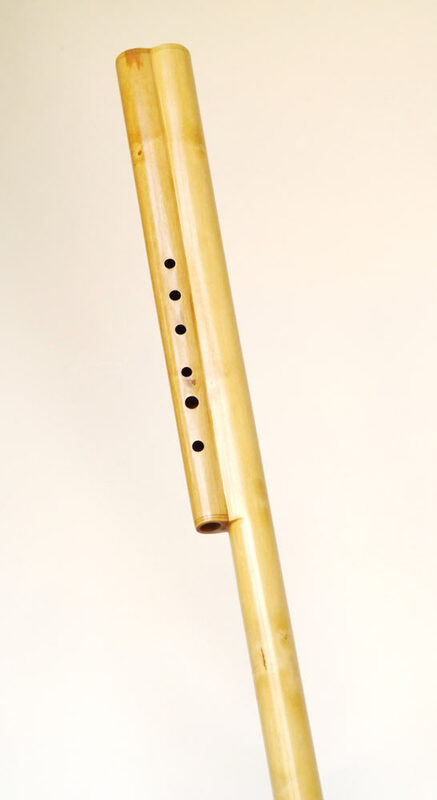 Double 'shepherd flutes' are common in Eastern Europe and the Balkan. Playing two flutes at once, you have a mini orchestra in your pocket. 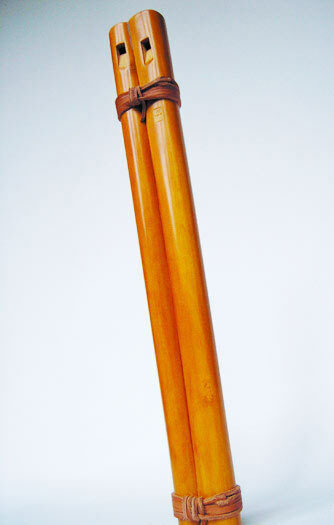 They are also referred to as 'the bagpipe of the poor'. The ones offered here exist of one diatonic major scale 6-holed flute and one sensitive drone that jumps in the natural harmonics while playing. They are made out of two hand-drilled separate trunks of inland wood, set together. The space in between the two windways is as small as possible for playing comfort. Common keys are A and G.
Old work, hand-drilled stained Elder wood, resin finish. 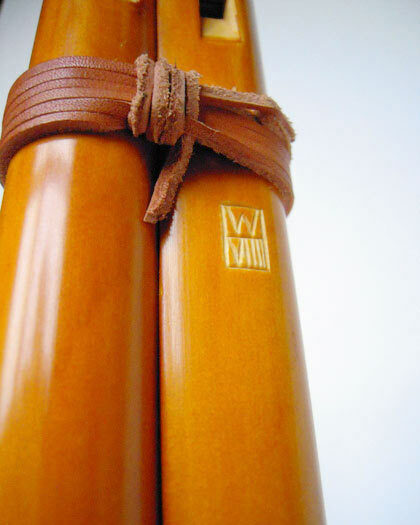 Improvisation by Winne Clement on a double shepherd flute. Hand-drilled Elder wood, shellac finish. 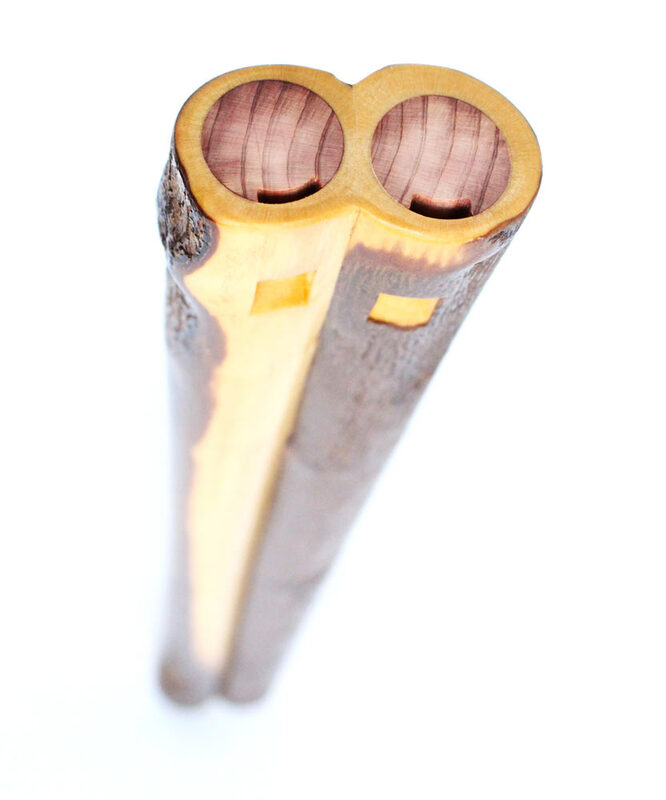 New fipple design, Elder wood. 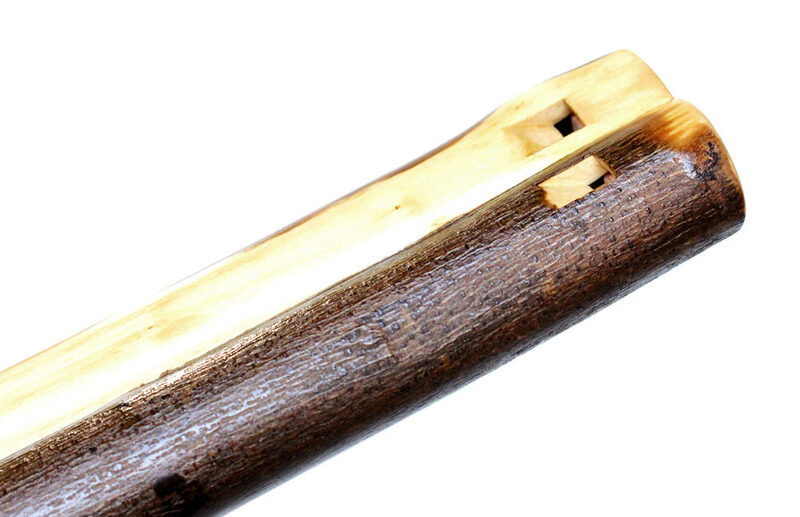 New fipple design, Dog wood.